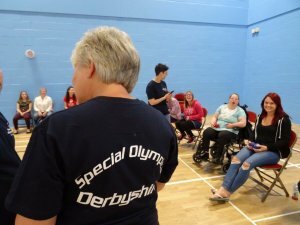 The Special Olympics Derbyshire (SO Derbyshire) network was set up in 2015, funded by Special Olympics GB to help create a pathway of training and competition opportunities for people with Learning Disabilities in Derbyshire. Special Olympics GB is the country's largest provider of year-round sports training and competition programmes for children and adults with intellectual (learning) disabilities in Great Britain. For more details on the Basketball programme please contact Jacob Meaton jacob@dosportuk.co.uk or 07786 144 414. 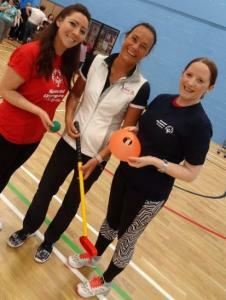 Boccia is a great inclusive sport that anyone can play. Fairplay host MATP for the young people who access their centre. To find out more about what MATP is click here. 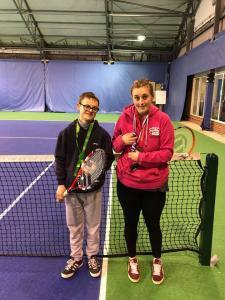 To find out where you can play sport at inclusive clubs in Derbyshire, click on the 'Special Olympics Derbyshire exit route' flyer. To find out what other Special Olympics clubs there are in the East Midlands, click on 'Special Olympics East Midlands Clubs'. Event volunteers at the SO Derbyshire launch event. Support SO Derbyshire by creating an account. You can help support SO Derbyshire by making your online purchases through easyfundraising. All you need to do is visit the easyfundraising website and follow the easy steps, you don't pay anything extra. SO Derbyshire are committed to provided a safe environment for all athletes to train and compete within. For more details read the safeguarding policies below. If you have an immediate concern about a young person or adult whereby they may be in risk, you should contact the Police.